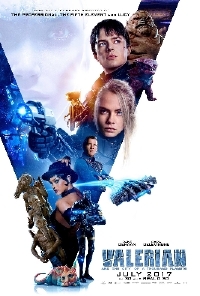 Critics have seen Luc Besson's Valerian and have taken to Twitter to express their feelings on the largest film the French director has produced in his career. The science fiction Space Opera is based on a famous French comic series. The series was also an influence on George Lucas when he created Star Wars. Besson has wanted to adapt Valerian for his whole life but like James Cameron he had to wait until the technology existed to do his vision justice. From what critics are saying, the wait was worth it. #VALERIAN is one of the most bracing, vivacious, alive sci-fi films in years, and may be one of the most electrically gorgeous ever. The film stars Dane DeHaan and Cara Delevingne along with Clive Owen, Rihanna, Ethan Hawke and many others. Valerian opens this summer, July 21. Is it better than Avatar ?